Twenty hours into labor, Erin Fers (pronounced Fears), of Marshfield, Missouri, learned her baby was large enough that a natural delivery was no longer an option. She would need to undergo an emergency Cesarean section. Along with feeling joy when she and Chance Lafferty welcomed Lillian into the world on October 5, 2010, Erin felt incredibly weak. But since this was her first baby, her initial thought was to assume this was normal. She did realize she had lost blood during surgery. “I was all drugged up, but I remember there was a lot of blood on the delivery room floor. Once the baby was out, they pulled the cover down and I looked around. I remember blood being all over the doctor and everywhere. They said I lost more than half of the amount of blood in my body,” Erin said. After making the move from the delivery room to a hospital room, Erin was enjoying getting to know her baby. She sat in a chair, feeding her daughter, while continuing to grow weaker. She needed help taking care of the baby, and didn’t have the energy to eat. Erin, whose iron had always been too low for her to donate at Marshfield High School blood drives, received two blood transfusions before leaving Mercy Hospital in Springfield. “With the second one, I started to get my color back and started feeling a little bit of difference,” Erin said. It took about a week for her to begin feeling like her energy level was returning. Lillian is now six years old, attends kindergarten, and is a talented artist. Erin and Chance’s family grew three years ago with the addition of a son named Kairo. “I was terrified the second time because I had so many issues the first time,” Erin said of facing another C-section. However, there were no complications. “Kai’s birth was super easy,” she said. 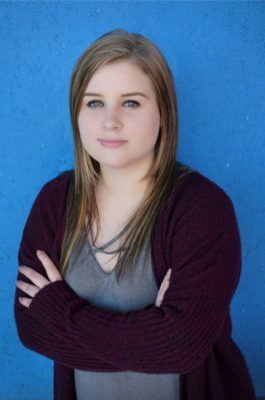 Although Erin had been unable to donate blood in the past, the blood was there when she needed it thanks to generous CBCO donors. “Not everyone can give blood. Like me, for example. But there are people, like me, who need it. 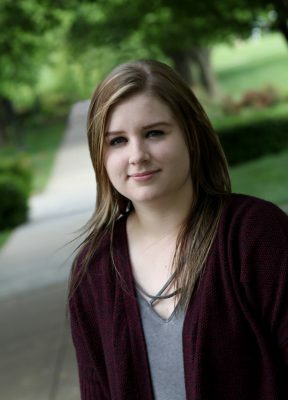 When you’re in that situation, you’re thankful that somebody did give blood,” she said. 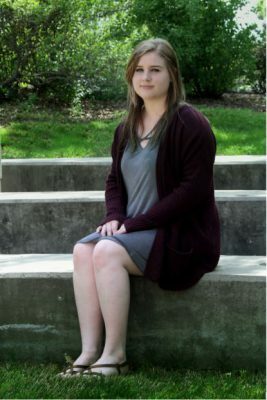 Erin, now 24, is working on general education requirements at Ozarks Technical Community College with a goal of a nursing degree, and is an assistant manager at Starbucks on OTC’s Springfield campus. She is looking forward to a career in the healthcare field so that she can help others. You can help save lives of patients like Erin, just by donating blood with CBCO. To find a mobile blood drive in your area or to see the locations and hours of our donor centers, click HERE.